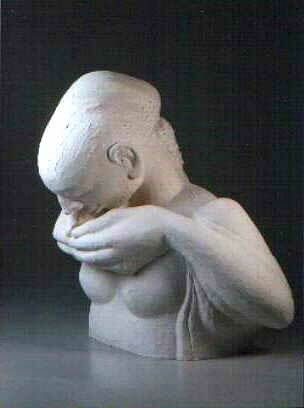 "Thirst" Plaster, 63 cm. h.
Born in Paris in 1932. Immigrated to Israel in 1950. Among the founders of Ein Hod. Studied at the Ecole des Beaux Arts, Paris. 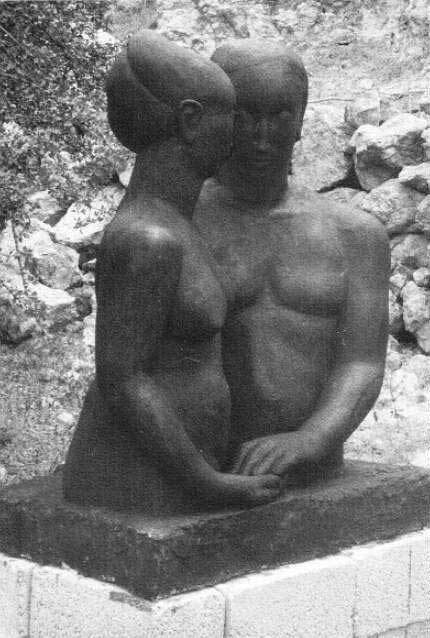 Studied sculpture with Rudi Lehmann, Ein Hod. 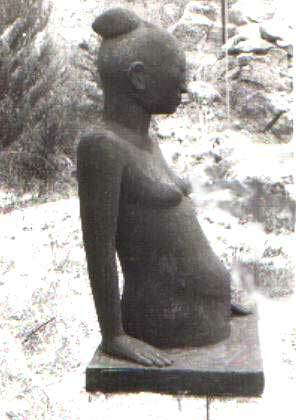 Taught sculpture and ceramic sculpture in various schools and at the Ein Hod Art School. Exhibited one person shows and participated in group shows in Israel and abroad. 2001 Connection - Ein Hod Gallery. 2002 Portrait - Ein Hod Gallery. 2003 50 years to Ein Hod - Ein Hod Gallery. Yael Taub, Pob 69 D.N. Hof Carmel 30890, Ein Hod, Israel.